The Usual Parisian Residence of most French Monarchs ? – The Tuileries Palace was the usual Parisian residence of most French monarchs, from Henry IV to Napoleon III, until it was burned by the Paris Commune in 1871. 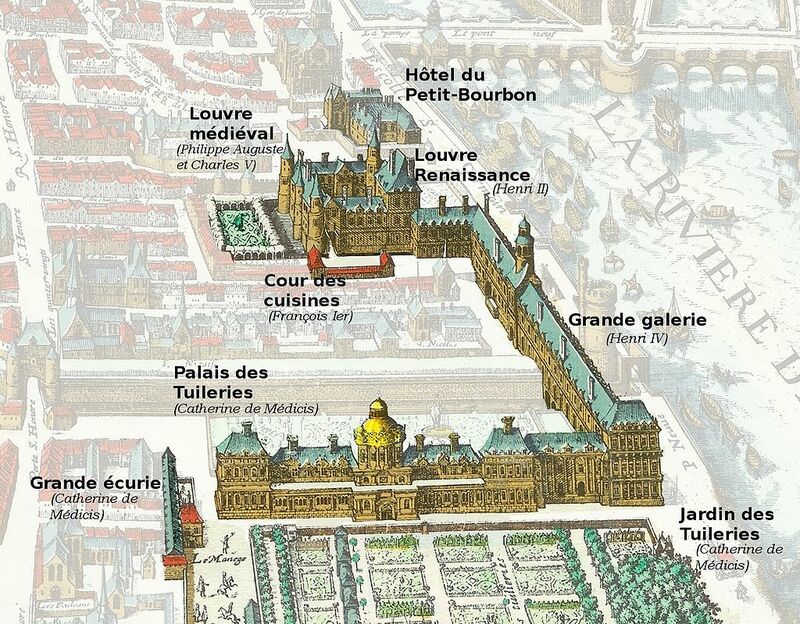 – Catherine de’ Medici (1519–1589), when her husband Henry II of France had died, began building the palace of Tuileries (1564), using architect Philibert de l’Orme. – The site is now the location of the eastern end of the Tuileries Garden.